It happens to us all. Your shiny new PC, that was equipped with masses of disk space when you bought it, has suddenly started to complain about a lack of disk space. Where has it all gone? Well those 1000s of photos could well be taking up stacks of space that you could easily free up by deleting them but there must be something less drastic you can do? CCleaner (or crap cleaner) is an excellent product, which when run on your machine will get rid of all those temporary files that applications are so keen on leaving all over your hard drive. It is worth checking the settings before as you may not want it to remove things like your internet browsing history (or maybe you do). CCleaner also includes a registry repair process which removes junk from your registry. 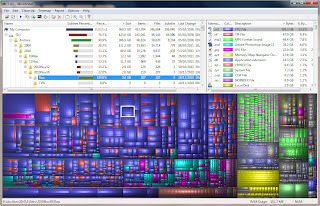 WinDirStat will helpfully scan your disk drives and map the files on it and their usage. 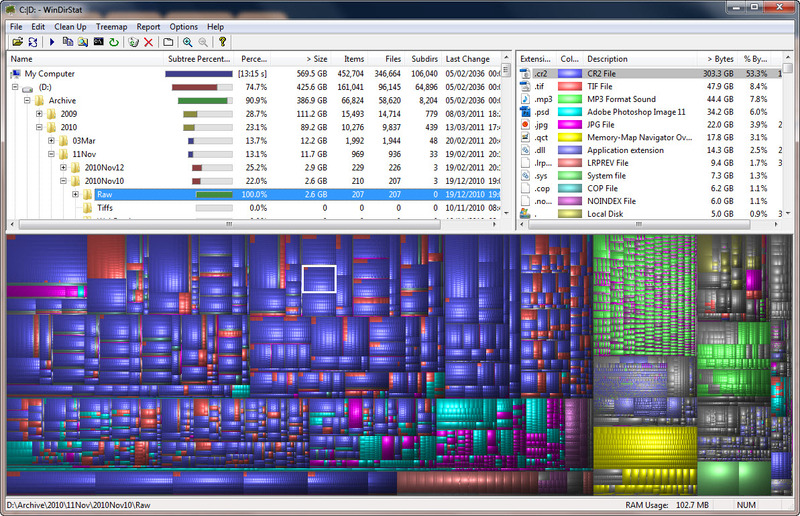 The graphical display makes it really easy to see what is hogging your disk space. The PC Decrapifier is for people who have just got a new PC. running this application will help you get rid of all the junk that PC manufacturers are so keen on hoisting on their customers. Highly recommended. If you have any recommendations for useful disk software please add a comment, I would love to see what people are using. Directory Report is a good tool. It looks just like the MS-Explorer but always shows the folder size.